"When you establish a periodontal protocol, people with perio disease don’t fall through the cracks. They receive the treatment they need." You want to provide patients with the best care possible and for them to trust you when you recommend treatment. This is vital to practice growth, and is one of the many reasons you should consider establishing a periodontal protocol. Focusing on perio from the beginning, which includes knowing how to correctly code treatment, educating patients and training team members to make it a priority, will help new dentists, like you, increase production and might even lead to referrals from happy patients who understand the importance of maintaining periodontal health. Not sure how to get started? Follow these tips to establish a periodontal protocol in your practice. When possible, conduct new patient exams before the first cleaning. This will help establish trust, Tekavec said, and gives you the opportunity to talk with new patients about any problems they’re experiencing as well as their oral health goals. Ask open-ended questions about their primary concerns and then take the time to address those concerns before you talk about any periodontal problems you discover. During this exam, use intraoral photographs, a perio probe and digital x-rays to evaluate the tissue. If you spot a problem, talk to patients about coming back for scaling and root planing with the hygienist (two different appointments, two quadrants each). Explain why a regular cleaning won’t work and exactly what scaling and root planing entails, Tekavec said. This helps patients build trust and a connection with you and the practice. Hygienists also know what to expect before the appointment begins, and can go over what will happen during the visit and answer any remaining questions patients have when they arrive. While these initial exams are ideal, they typically don’t happen, Tekavec said, because most patients want to combine their exam and cleaning into one appointment. If scheduling that initial exam isn’t an option, introduce yourself to new patients at the beginning of their hygiene appointments, Tekavec said. Take a look at their mouth before you leave and let them know that to get an overview of their teeth, bone and gums, you’re going to need x-rays that the hygienist will take. Once it’s clear patients have periodontal disease, whether you’re working on new or current patients, the hygienist can offer to start scaling and root planing that day or schedule their first appointment. Discuss insurance with your patients. Whenever you talk with patients about treatment, they want to know what their insurance covers. While most insurance covers perio treatment, Tekavec said, it typically doesn’t cover as much as patients would like—which could present a barrier to care. Make sure you talk with patients about what insurance will and will not pay for from the beginning so there aren’t any surprises down the road. 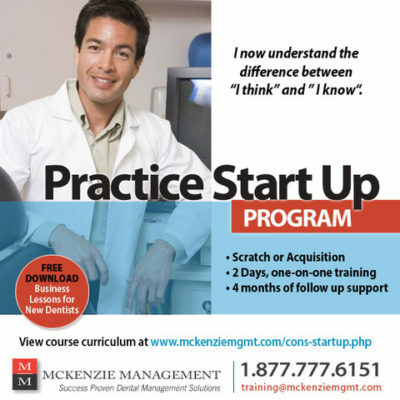 It’s also a good idea to provide third party financing to help ease the financial burden of treatment, McKenzie Management Hygiene Consultant Jean Gallienne said. Companies like CareCredit enable patients to pay their portion in small monthly amounts rather than writing one large check, making it easier for them to say yes to the periodontal treatment they need. When patients are educated about their condition and why they need treatment, they’re more likely to accept that treatment—even if they have to pay more out of pocket than they’d like, Gallienne said. Most of this education comes from the hygienist and should start at the beginning of the appointment, Gallienne said. Before the hygienist starts probing and calling out numbers, she should tell patients what she’s doing and what the different pocket depths mean. If patients hear numbers that are 4 mm or greater, they know right away there’s a problem. This enables patients to co-diagnose rather than just listen to the hygienist call out numbers that have no meaning. And instead of just telling patients they need to come in every three or four months for regular periodontal maintenance once the initial scaling and root planing is done, explain to them why those visits are so important, Tekavec said. Educate patients about the oral-systemic link and how periodontal disease affects their overall health and they’ll make these appointments a priority. When you’re ready to establish a periodontal protocol, your team members should be excited about what it means for your patients and your practice, Gallienne said. They’ll help provide that all-important education, which should start from the time the doctor and hygienist are chairside and continue until patients are on their way out the door. This also helps keep messaging consistent, which is a key component of case acceptance. To ensure you get paid, it’s important for the team member handling insurance to know the codes and how to properly submit claims, Gallienne said. 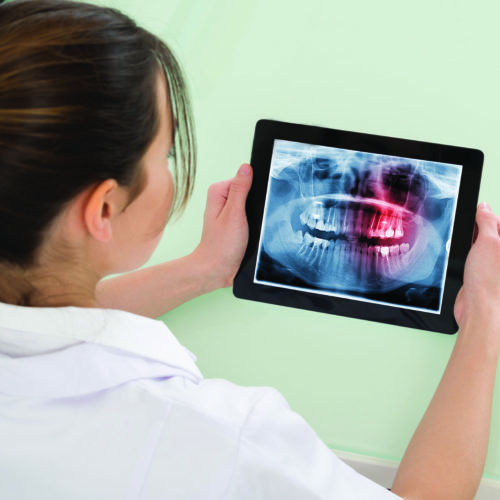 This includes providing the proper documentation such as perio probe depths, intraoral photographs and radiographs. Adding a periodontal protocol is a great way to grow your practice, Gallienne said. Not only do you get paid more for these appointments than cleanings, perio patients come in more often for care, increasing productivity and your bottom line. And, most importantly, these patients receive the treatment they need.